صراع الصحراء هي أجدد لعبة عربية ملحميّة, ذات طابع عربي صحراوي خالص. حيث البقاء للأقوى. في لعبتنا ستقاتل أشرس الأعداء بالهجوم على قلاعهم والاستيلاء على مواردهم. كما يمكنك إنشاء التحالفات, تطوير مدينتك, جمع الموارد وتخطيط الدفاعات. قم بتدريب القوات العربية مثل حرس السلطان وتنين الصحراء. 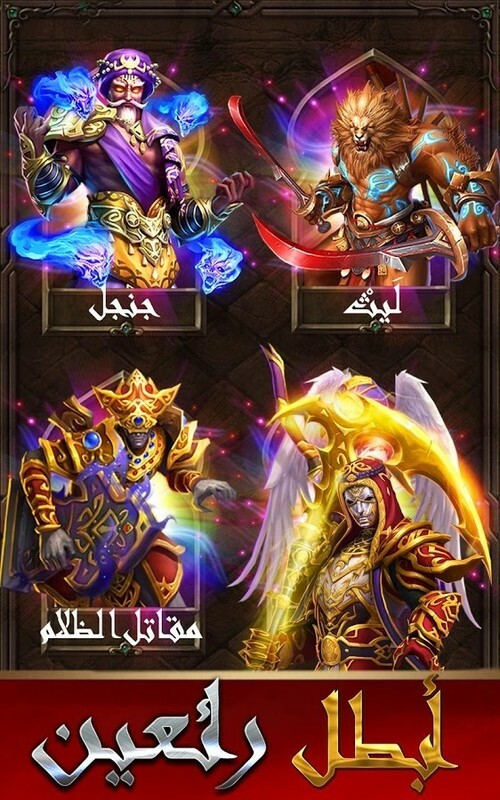 قم بتجنيد الأبطال مثل شاهين و القناص لتضمن النصر. تمتّع بالنصر وأرفع من مراتبك بين ملوك الصحراء. 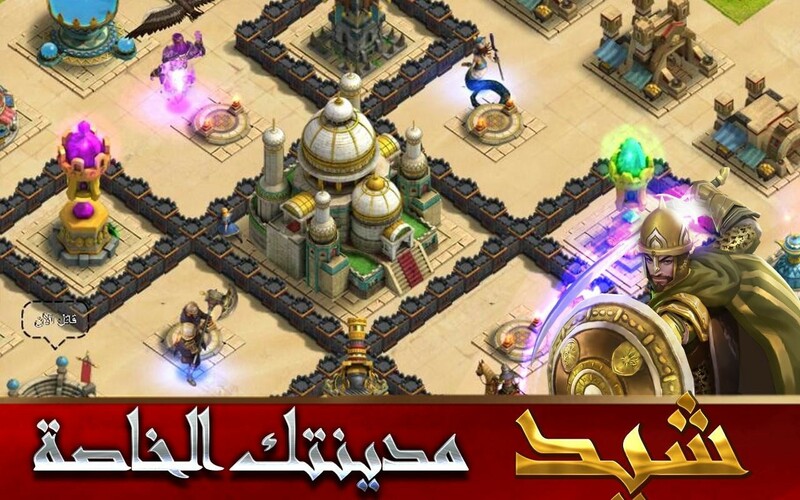 - Play with millions of other players in real-time in the MENA. - Hire heroes like Lion Heart, Shade Stalker, Nomad, Ragnar and more. Level them up and gain valuable military & attribute bonuses. - Build various buildings such as the Town Hall, Army Camps, Gold Mines, Wells, and more to expand your rule. 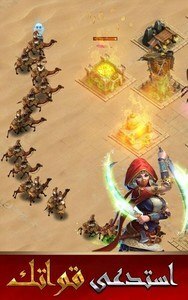 - Train a variety of Troops such as Swordsmen, Assassin, Janissary, Sand Walker, Cavalry and other mighty fighters to raise a powerful army. - Build strong alliances with others in the Guild to become powerful together. 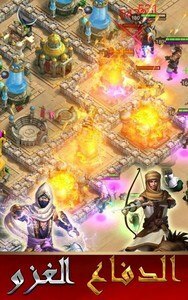 - Keep enemies away from your town and defend it with an incredible multitude of Cannons, Towers, Traps, and Walls. - Decorate your town with various decorations such as Shrubs, Palm Trees, Spring Fountains, Victory Pillars and more. - Raid enemy towns and loot their resources. 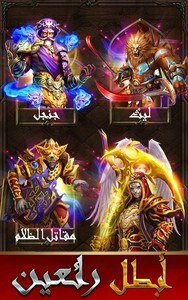 - Defeat monsters and challenge the Guild Boss fight. 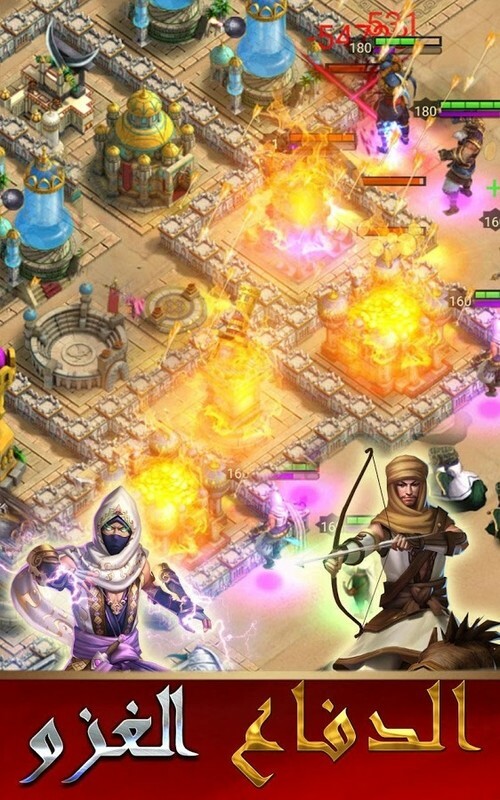 - Join forces with other players and conquer the Team Dungeons. 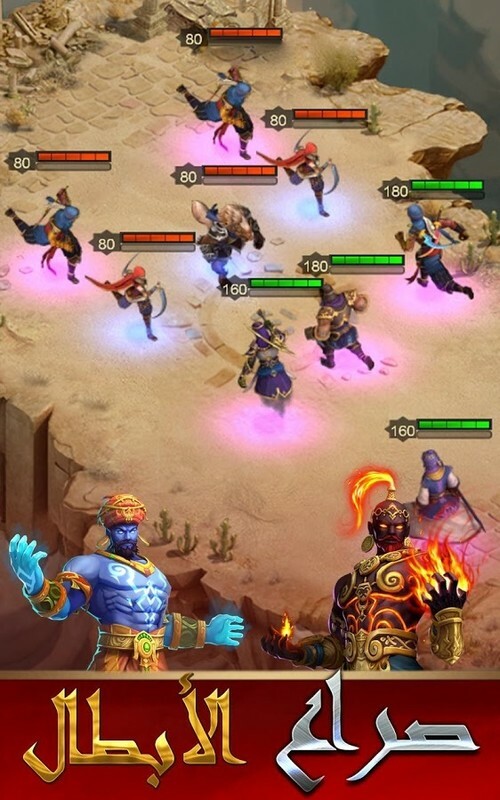 - BATTLE in different worlds within Raids, Here Be Monsters, Heroes Trial, etc.